Fire up the grill because the weather is just too beautiful to be inside during these summer months! 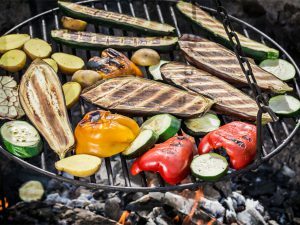 Grilling is a great option for protein, vegetables, and even fruit. It allows natural flavors to shine or you can add some variety with different marinades made from heart-healthy oils. Remember it’s always important to practice safe food handling practices. Read more about it here in the article Food Safety at the Grill. Previous PostPrevious Ask the Doctor Series: Lose weight for the summer… It’s not too late!